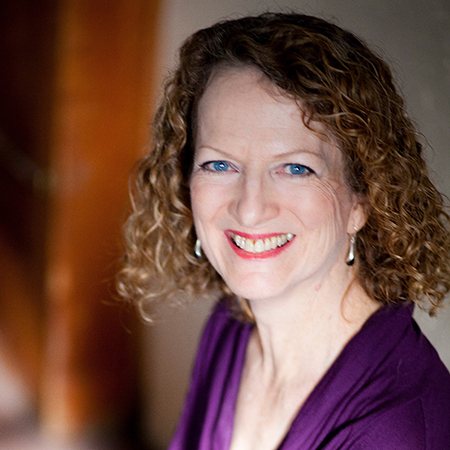 Marie Calvert has been teaching piano and music classes in the greater Vancouver area for over twenty years. In addition to teaching Colourstrings, Kodaly, and other class methods, Marie is an experienced piano teacher, and has taught children using both reading and Suzuki methods. Marie believes strongly in the importance of developing the ear and the innate musicality of young children before beginning to study an instrument. She believes that young children learn best when they are happy, relaxed and engaged. Marie enjoys being playful and creative in her lessons, making great use of imagination and games. Marie has taught Kodaly and piano at the Vancouver Academy of Music, is a part-time Core Music Specialist in the Surrey school district, and taught Colourstrings previously at VSOSoM and in numerous preschool settings. Marie is a founding member of the Saint James Music Academy and the East Vancouver Community Music School, and also taught at the Langley Community Music School for thirteen years. Marie has earned a C.A.T.M.K. (Colourstrings Associate Teacher Music Kindergarten); MMus in Piano Performance from WWU; BMus from UBC; Professional Teaching Certificate for B.C. schools; A.T.C.L (Teachers’) Diploma; L.T.C.L. (Performers’) diploma in piano from the Trinity College of London; is a member of the BC Registered Music Teachers’ Association and the BC Music Educator’s Association. Marie enjoys drawing people together in the spirit of collaboration and joyous music making! In her spare time, she loves to play chamber music with her daughter, her husband, friends, and colleagues. The dog insists on taking part too, and particularly likes Brahms!